All About Cassiopeia in collaboration with Qoo10 (Gmarket) Singapore are giving away amazing TVXQ merchandise from their 2011 Asia Fan Party! Stand a chance to receive these items when you register and spend at least $1 in Qoo10 Singapore! 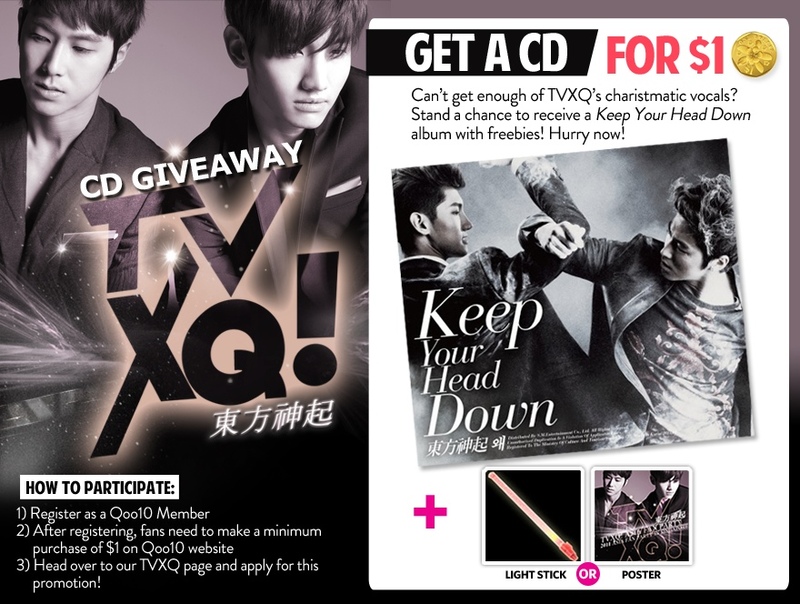 Merchandise includes TVXQ’s “Keep Your Head Down” album, Poster or Light Stick. •Promotion is ONLY applicable for fans from Singapore.